All Ash Fork homes currently listed for sale in Ash Fork as of 04/25/2019 are shown below. You can change the search criteria at any time by pressing the 'Change Search' button below. If you have any questions or you would like more information about any Ash Fork homes for sale or other Ash Fork real estate, please contact us and one of our knowledgeable Ash Fork REALTORS® would be pleased to assist you. "Hunting Ranch Cabin Retreat. Spacious rooms, Custom Overbuilt home with upgrades throughout. Large Master down, Large 2nd bedroom up off of the bonus room which is currently a quilters paradise but could be a bar, pool table, reading room and entertainers balcony. The Kitchen is spacious and inviting centered on a Wolf range with rock hood, custom cabinets and a split log bartop with granite countertops. Garage has a partially finished interior with a wood stove to take the chill of the large sp"
"Ranch Style Living! Complete horse motel or a beautiful spread for you and your horses. 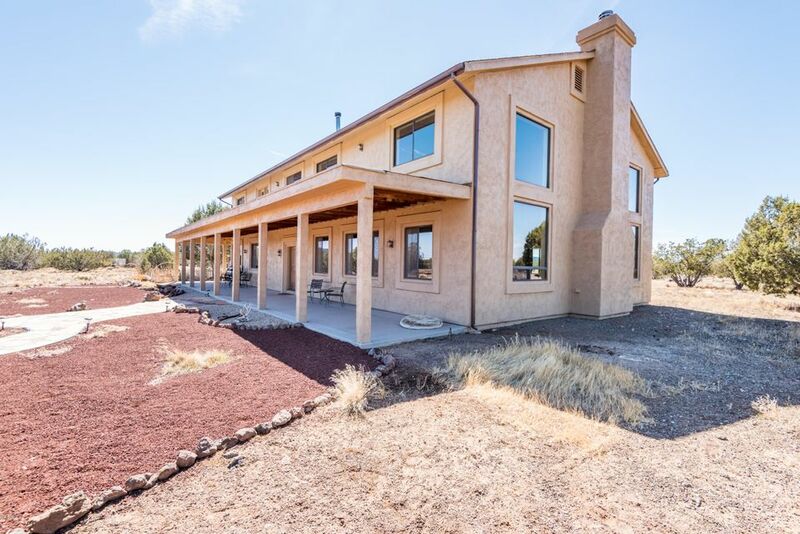 This property is complete with 5 stalls, round pens, tack room, water catch system, 3 loping sheds, 3 arenas and is complete 50' x 50' ft. hay barn, The home hosts 4 bedrooms, 2 baths and a Ranch style living room with vaulted beamed ceilings, & a wood burning stove. There is a large formal dining area/family room with a rock fireplace a spacious kitchen with a huge island and a eat in area as well. 2 sheds c"
"BAIL OUT OF SUBURBIA! 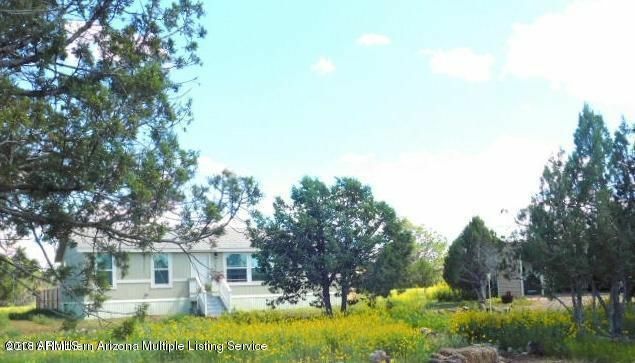 Nestled well back from the street you will find this charming 3 bed 2 bath home sitting on 2.11 acres of heavily treed land. The property is totally fenced, has rv hookups for your visiting friends. The circle drive adds to the convenience of the way the home and over sized garage are situated on the land. A picture of good taste and style are expressed throughout the home. A rare opportunity to acquire this property awaits your visit. In keeping with the rustic surrounding"